You are at:Home»Announcement»Free Two Month Premium Membership for All RCU Trading Plus Members! for the duration of November and December! Take advantage of this premium membership and make your marketplace posts today! WHAT EXACTLY IS AN RCU PREMIUM MEMBERSHIP? An RCU Premium Membership offers a step up and significant savings compared to being an RCU Trading Plus Member. Take a look at the table below to see the benefits. HOW CAN THESE OPTIONS HELP YOUR MARKETPLACE AD STAND OUT? Listing Lifespan Extensions will now allow you to extend the expiration date of listings that are still on the market, and it’s FREE for Premium Members. Emphasized Listings make your ad pop and set ad apart from the others with a bold outline. Search Results Featured Listings show your listing as a “Featured Listing” above all the others on the Search Results Page for your selected Product Type. 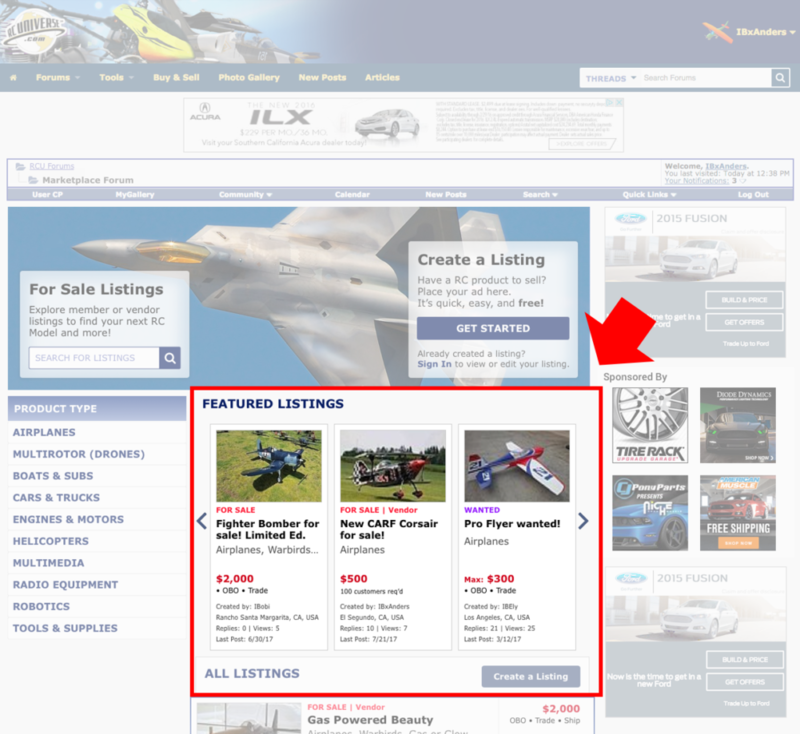 Homepage Featured Listings get more visibility and traffic for your ad! 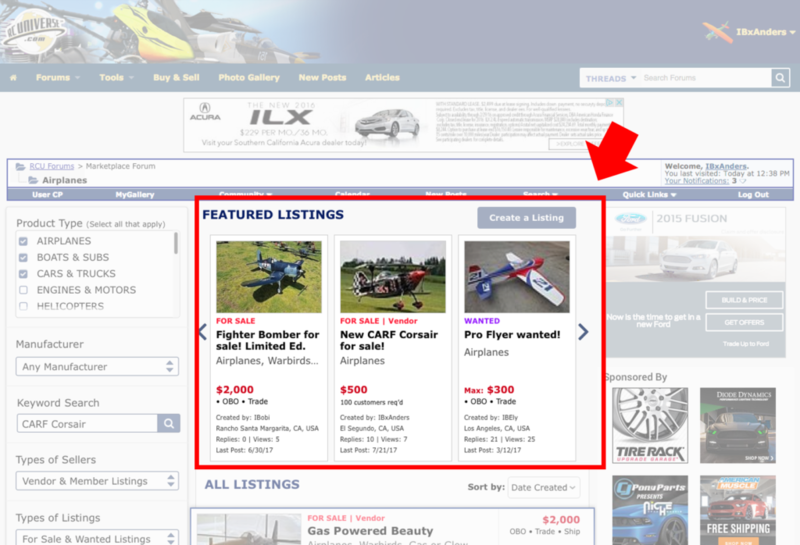 Get your listing as a “Featured Listing” on the Marketplace Homepage, where it can be seen immediately by everyone as soon as they enter the Marketplace. Hope you all enjoy the free upgrade and happy selling on the marketplace!! Thank You for the offer. Right now I don’t have the time to make any listings to sell anything. When I do, I will change my membership. 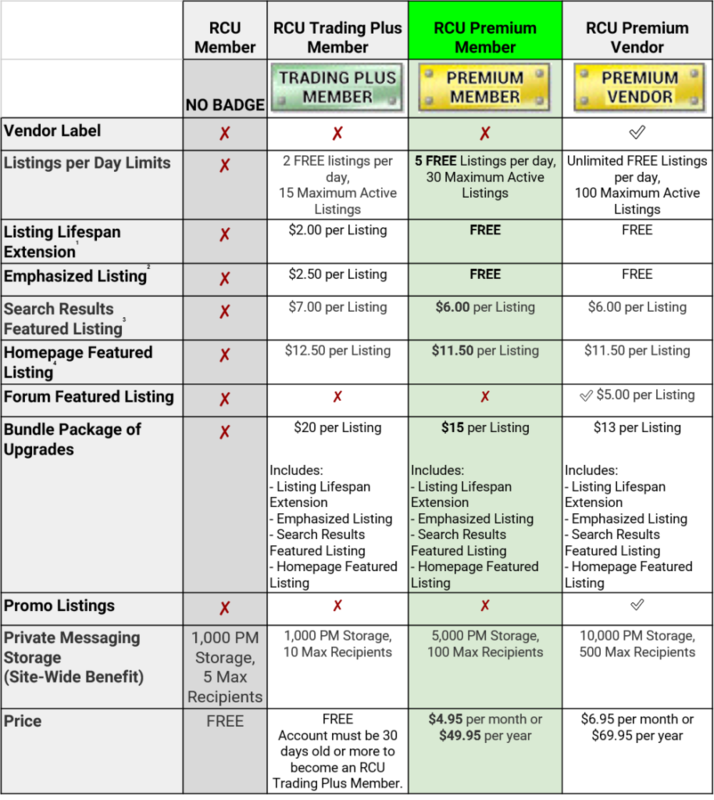 The chart above shows the option for forum featured listings for a premium vendor. However, on the site when you look at the premium member selection page it is not shown. Are forum featured listing available to a premium vendor?